According to Deadline, MGM has optioned the film rights to adapt the Top Cow superhero comic book Rising Stars. 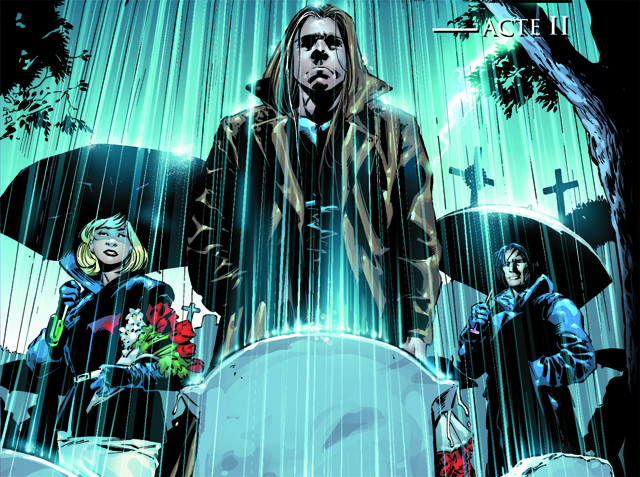 Created by prolific comics writer and Hollywood screenwriter J. Michael Straczynski (Thor, World War Z, “Sense8”), the series ran from 1999 to 2005, with a major delay on the last several issues due the author’s dispute with Top Cow over a potential film deal. The story revolves around 113 children who were in-utero when a mysterious meteor hit Illinois, which ultimately granted them unusual powers. When a few of them begin to get murdered, their powers transfer to still-living “specials” who are reluctant to get involved in superheroics. Straczynski is set to write the script, with Alex Gartner and Richard Suckle of Atlas Entertainment producing. Ever-productive, Straczynski is currently wrapping a second season of “Sense8” for Netflix and The Wachowskis, and also has a revival of Rod Serling’s “Night Gallery” for Syfy as well as the science fiction series “Red Mars” for Spike TV.